August 19, 2008 July 2, 2014 janellecoleLeave a Comment on New haircuts!! I know most kids are getting hair cuts in preparation for back to school – and are 1/3 of the way through our year already – but we decided to join the new haircut movement anyway!! So here are a few of the new looks (for P & E anyway!)…. 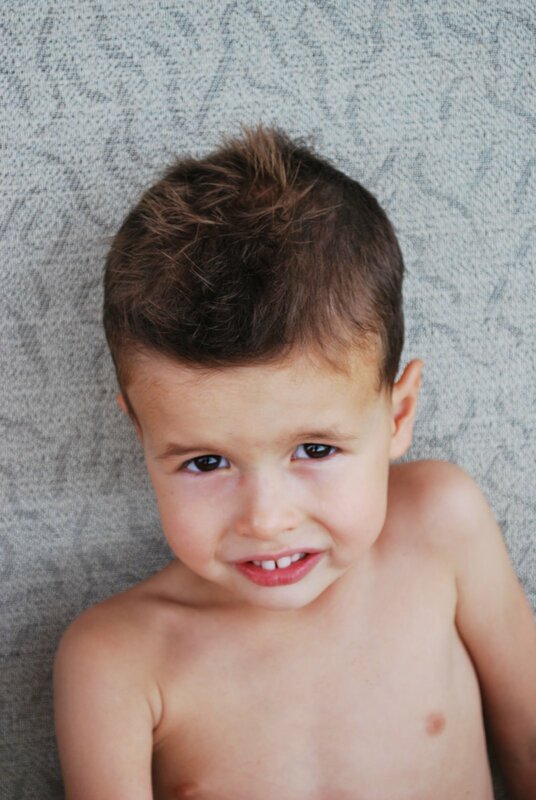 E requested a Mohawk – so I allowed him to get a faux-hawk. He loves it! He got lots of attention from a neighbor and that sealed the deal that this the look for him! And then P wanted to kiss the curls goodbye, so we are somewhat short & spikey! All in all I think they both look pretty cute! 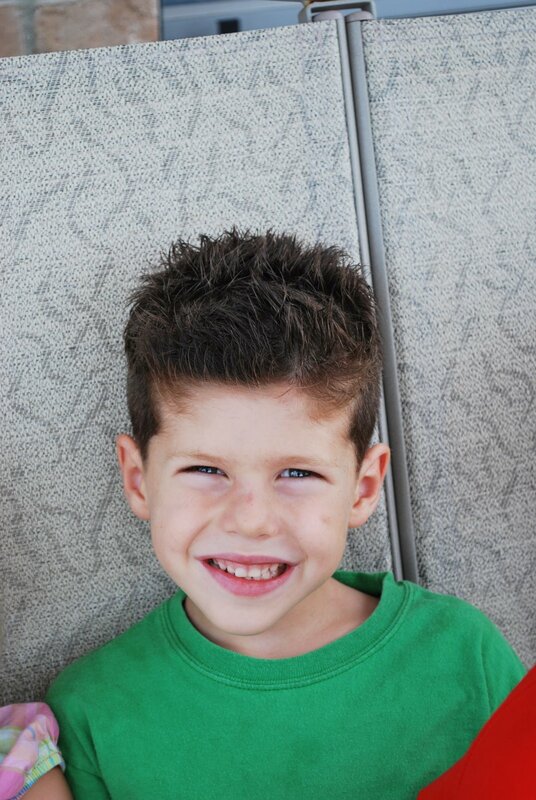 J just went shorter ….. and he looks pretty cute too! Getting so big!